Not really in to electric flight, but I do have a glider with a fan up front. Anyway I have just bought a new 7.2 volt 2500 mAh battery. I fully charged it and tried it out. All was ok. I then recharged it and put it in the glider. I have a feeling that I left the switch to on, and discharged the battery. When I tried to charge it, it charged in about two minutes, but the motor would not work, although the controls did. After a couple of recharges things got better. In now take several hours to recharge, and I get about 2 1/2 mins full throttle. Now I do not know what I got first time I tried the battery, but I am sure it was more then 2 1/2 mins. Will the battery get better as it has from the first recharge? Or is it knackered. If it's NiMH, what sort of charger are you using and what settings (if any) have you tried. Hi Martin, It is a NiMh battery, and the charger is what came with it. It is a vapex smart easy charger, 4.8 - 12 volts at 500mA. The battery is also a vapex. No settigs as all is automatic. If the charger is 500mA, and the battery is 2500mAh, then it will take 5 hours to charge from completely discharged. If you left it on discharging so it is very discharged, then you will likely find a "Smart" charger will detect a "false peak" very early when charging. What speed controller do you have in the glider? You may need to configure it for NiMh batteries as it may be deciding you have a 2 cell LiPo and cutting off early when the NiMh voltage gets too low. Also, what connector are you using from the battery to the speed controller? If one of the Tamiya type like on this battery **LINK** then you should replace it with something more capable as the Tamiya is not suitable for high currents. In my opinion, this type of battery should not be sold with that type of connector. What's the model & does it have a brushed or brushless motor ? The fact that you "left the switch to on" suggests it may be a brushed motor as very few brushless motor speed controlers (ESC's) have a switch. Mike's pretty much said it all. The only thing I can add is that if it's one of these, they only appear to be designed for low discharge rates - any idea what current your motor/prop combination is supposed to pull? Mike has got the battery spot on, that is the one I have, including the connecter. When I am charging the battery, there are four lights on the charger. It starts off with two light then three and in the end four. When the battery is fully charged, all lights show green. As to the switch, it might just turn off the rx battery. The main thing is though, might I have seriously damaged the battery having totally discharged it and possibly left it in this state for a week or so. I don't know if it helps, but here are some photos of my set up. Nigel, the switch I mentioned is for the Rx. If you have one between the ESC & Rx then you are probably using a brushed motor set up with a built in battery eliminating circuit [BEC]. Brushless ESC's don't normaly have any switch, the lead to the Rx is permanently connected & relies on the main battery being connected/disconnected. If it is an unusual brushless ESC that has a switch on the Rx lead there will still be a current drain on the the battery if it is connected even when the switch is off. It's important that the battery must be disconnected at all times the model isn't in use. Thanks Pat, something new I have learnt today. I have ordered a new battery, just in case. Will see what that does. 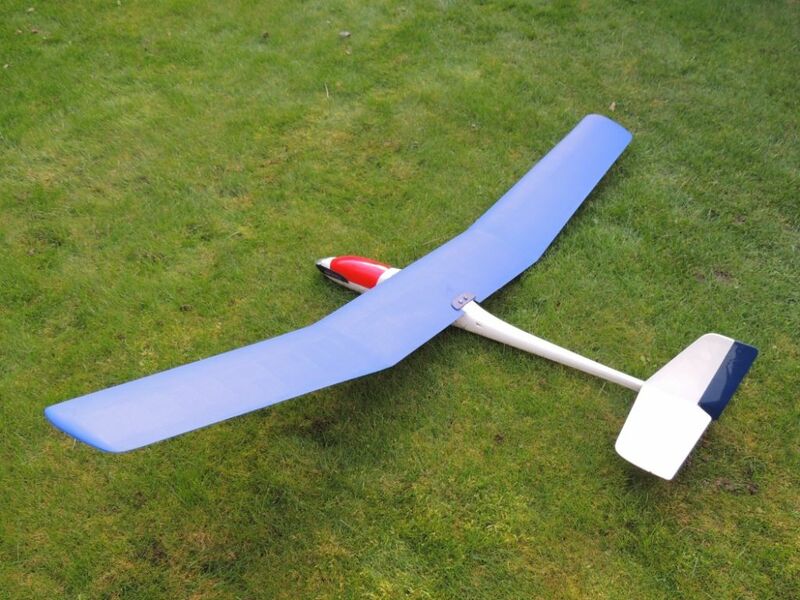 Of course it does not need huge power as it is a glider, so short burst are all it requires. I think you should only have the lower link connected. This link should take you to the relevant page to download it on the Jeti site if you haven't got a copy. I'm slightly concerned that if a 30A ESC has been specified, the maximum current at even half that value may be double that which the battery appears to be designed to supply. If I remember correctly, conventional NiCd and NiMH packs could support far higher outputs. Nigel, I was typing whilst you posted. As Martin & Mike have suggested the battery & connectors are unsuitable for what you need. Even with a suitable Nimh battery I think you would be disappointed with the model's climb performance. The battery would need to be something like this which is relatively heavy compared with modern lipo batteries that supply more power. Nigel, can you cancel the order ? I think you may just be wasting more money on something unsuitable. 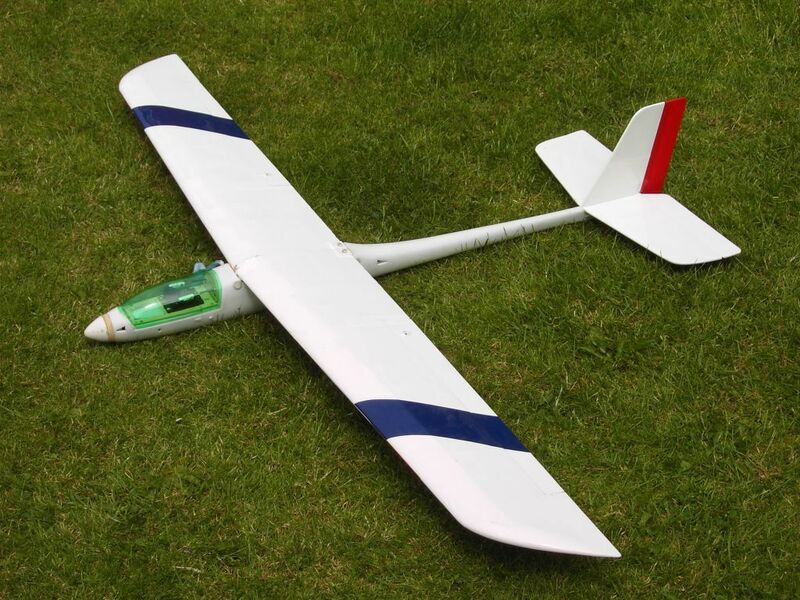 I fly a number of electric powered gliders & have since the only suitable batteries were Nicads & the motor was switched on via a servo & micro switch. If you post some details of the model I'll try to give you some advice that hopefully will get you a decent performance from your model with the minimum of extra cost. Whilst you may think that you don't need a lot of power, you do need sufficient to climb quickly to a reasonable altitude. Those 'Instant' 2500 mAH batteries are totally unsuitable for driving a motor. On full throttle your motor will try to draw 20 amps depending on the prop fitted and those batteries just will not deliver that sort of current. You need either a 6 cell so-called sub C NiMh pack (like the one Pat indicates) or a 2S LiPo pack but the LiPo will need a charger designed for them. That Tamiya connector will just about do but is certainly not optimal. Better to replace it with a pair of 4mm gold plated bullet connectors with a plug and socket on the esc and corresponding ones on the battery so you vcan't connect it backwards. Use heat shrink sleeving to insulate them. Quite a few people in this thread are under the misapprehension that Nigel's battery is Vapex instant AA cells. It isn't. Mike Blandford posted a link that showed a pack of sub-C cells that Nigel confirmed were his pack. I would say they are suitable for a low powered brushed motor installation like Nigel has and moving to a Lipo pack may well be a struggle to balance the aircraft. I've had a look at ESC instructions via the link Martin posted. IMO you'd be best to forget about Nimh's & think about a lipo battery. A 2 cell, 7.4v, 2100mAH lipo would weigh in the region of 120 - 130g as opposed to 350g for the 6 cell, 7.2v, 2500mAH nimh that I linked to. 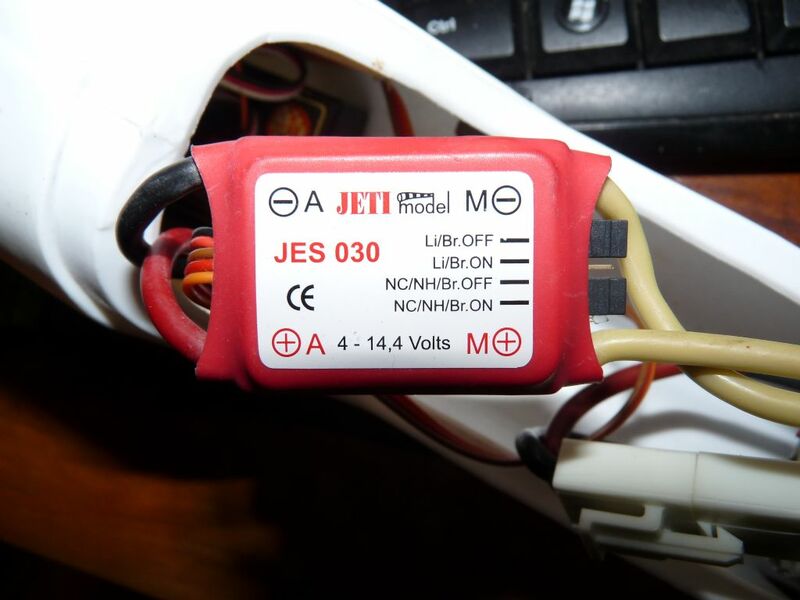 The lipo would also hold a higher voltage under load than the nimh battery. Alan, in my case you're right I assumed it was the Vapex AA cells that Martin refered to. However the battery is situated just about on the cg & could be placed further forward so IMO a lipo is still the best bet. 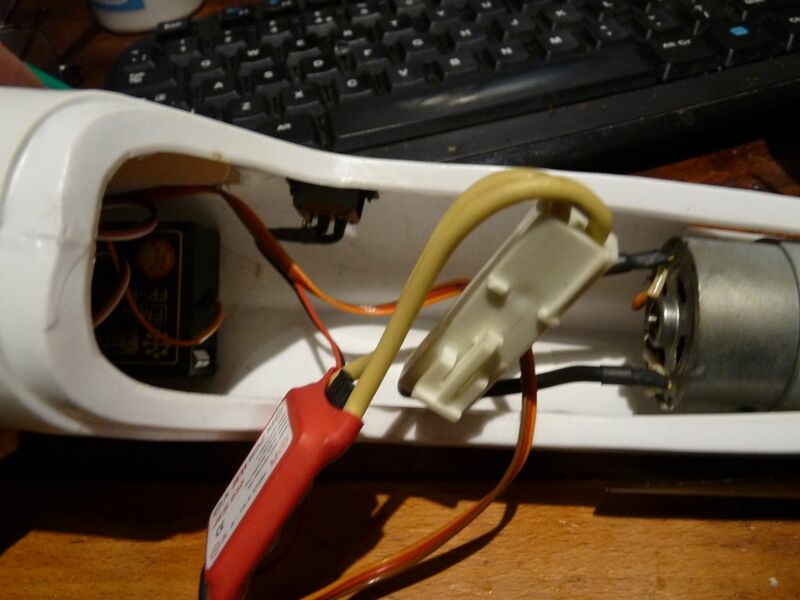 The models in my photos were originaly designed & flown with 7 & 8 cell sub C nimh/nicads but were converted to 3s lipo with brushless motors that themselves were lighter than the original brushed motors. I have to admit that I assumed Nigel's reference to Mike in his confirmation was a typo! I must admit I feel I have opened a can of worms. I am learning lots about electric flight. But as yet no one has answered my original question. Is the battery going to be as good as new or has it lost it's main capacity I:E its never going to be as good as new, its buggered, stuffed, had it, knackered, be low par, not as it should be, has seen better days, etc etc. After it was fully discharged, and left for a week like that. I have not flown for a while, but all my other planes are I/C. I appreciate what every one is trying to do to help me out, but this is a model, that goes on holiday, it gets thrown in the car if there is room. Then I might get an hours flying time in sometime. Nice weather, streets of cumuli nimbus and that's it. My model is very similar to Pat Mc's first photo. My Elevator is about a third of the way up the tail fin, but other then that it is the same. I am quite happy with the model as it is, I am sure that if I put in a lipo battery, and a brushless motor it would be an even better model, but as I have never had that sort of set up. what you have never had you do not miss. Please do not take this post the wrong way. I am not In the least ungrateful to what every one has added, to this post, in fact I love watching as posts expand on a thyme. But can I trust this battery in the air after what has happened to it. It appears to be getting better the more I discharge / charge it, but my luck with batteries is not good. I do not want to lose a plane because I had ruined a battery/. 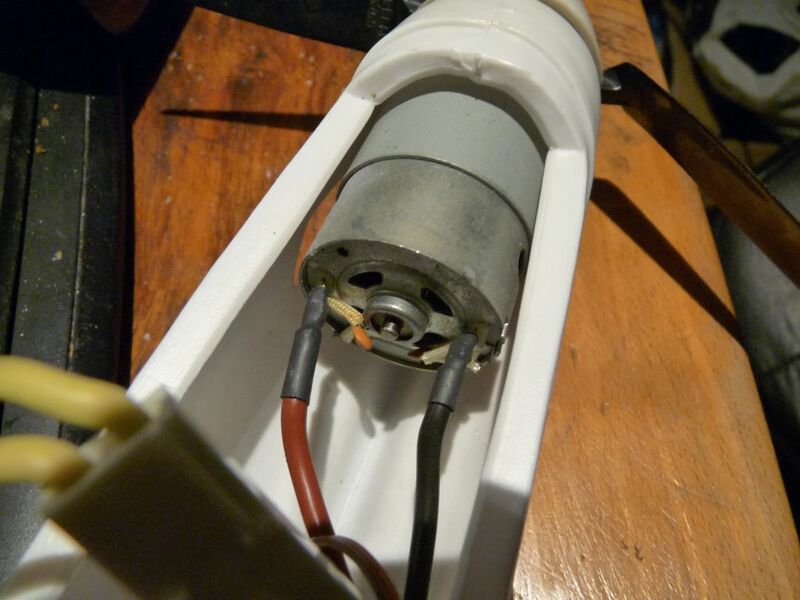 When the motor has died, will the battery still have enough volts/amps to use the servos. Without doing some in depth testing of the individual cells in the pack, it isn't possible to give you an accurate picture but as you've flown the model extensively (not clear from the OP) and know it is not achieving the performance capabilities of a battery in good condition then the safest thing would be to dispose of the battery. A deep discharge can damage cells due to "reverse charging" where a cell reaches 0V significantly before the others and this causes irreparable damage. All Forum Topics > General Electric Flight Chat > Have I done serious damage.